Water pipes in both residential and commercial properties can be made of galvanized pipe. 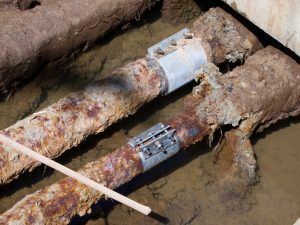 Over time, these galvanized pipes erode. The marks of corrosion are easily identified. You can do a quick evaluation and examination of your own piping conditions. Cross-linked polyethylene water supply system is known as PEX. It has many advantages over other standard metal pipes which are usually made from iron, lead or rigid plastic pipe systems with CPVC, PVC or ABS. Installation of PEX is much faster than metallic pipes. It also need less connections and fittings as it is a flexible, it can resist chlorine and it doesn’t corrode or develop pinhole leaks. 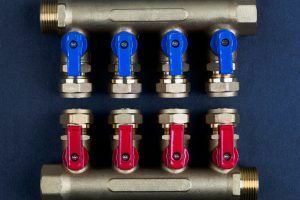 PEX repiping services are holding their ground firmly. Leaks in one of the water lines running below the concrete floor of the homes are termed as slab leak. 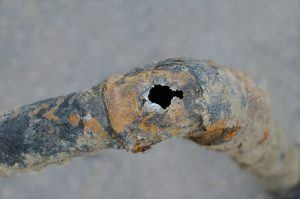 It can happen due to many reasons which include the chemical reaction between water and the copper pipe, faulty installation practices, too much soldering or welding flux, pipe’s contact with concrete, rocks etc. Here are some symptoms of slab leak which assure that your pipes are damaged and you need slab leak repair services.